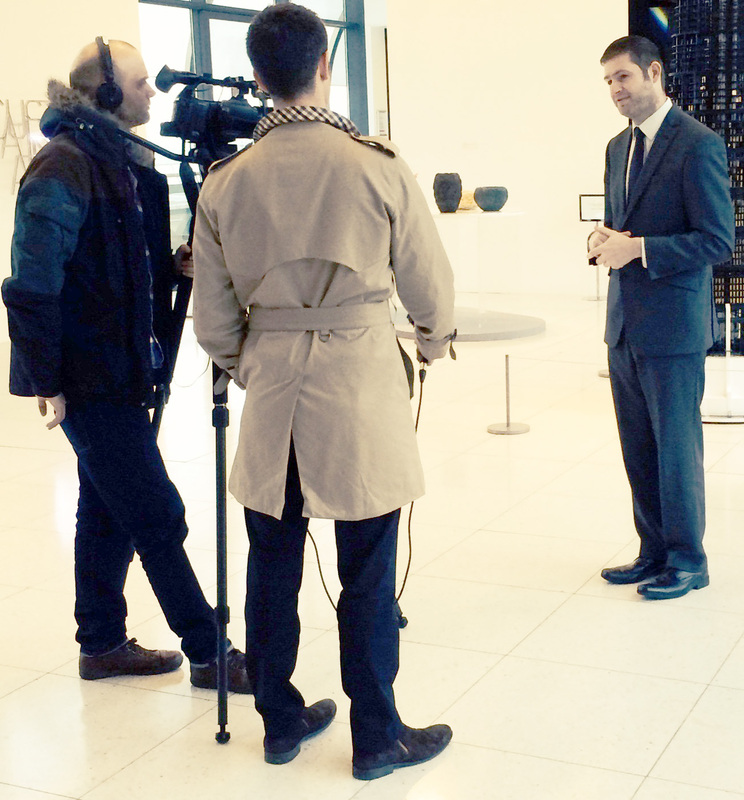 SPOTLIGHT: Explaining Oldham Council’s ‘Invest to Grow’ strategy to journalists from the Financial Times this week at Gallery Oldham. IN LOCAL government circles the end of February always heralds the arrival of the ‘small’ tome that is the paperwork for your annual budget-setting meeting. This means you’re finally nearing the end of a process stretching back several months and characterised by many hours of head scratching and heart searching. Cabinet agreed our final proposals for 2015/6 on Monday and these now go forward to the annual budget-setting Full Council meeting on Wednesday, February 25 (6pm onwards) which – as ever – you can watch online via the Oldham Council website. The dominant factor in this task for the past six years now has been balancing books in the face of significant funding reductions and rising demand – and that means there is no sense of relief as we look ahead. I’m sorry to say this will be the same challenge next year – and in future years – which really makes you pause for thought where this may all end up. We’ve already seen £141million removed from Oldham Council’s budget in the past five years which is equivalent to £1,566 less per household. With an extra £60m in savings to be made by 2017 that will bring the total reduction to £201m – that’s £2,232 less to spend per household. 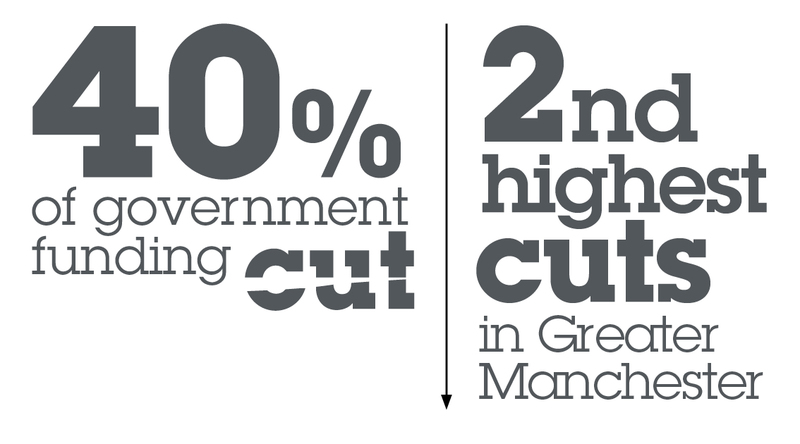 As a local authority we’ve suffered more than most here in Oldham and I’m clear the cuts cannot carry on. This is not about a principled view about deficit reduction – or continuing the blame game – the issues are now about basic public service management. Soon there simply won’t be enough money to deliver the services that are there to respond to community demand. And when I say that I’m not just talking about the things that people ‘want’, I’m talking about things that society genuinely ‘needs’. Public sector spending has already borne the brunt of government reductions and – with the NHS and schools being protected in terms of future funding – huge pressure is again likely to fall on local government. And even as I write there’s yet more evidence as to how widespread concerns about this are becoming. The Independent Commission on Local Government Finance – whose members are economists, business, finance and public service experts – says today that councils are on a ‘cliff-edge’ which means everyday services “may not be there much longer” and that “urgent devolution of powers, funding and taxes” is needed. This comes just days after the House of Commons’ own Public Accounts Committee (PAC) published some stark findings about the financial sustainability of local authorities like ours. They found that local services are becoming unviable and the reductions to funding are hitting the poorest areas the hardest. The PAC report says the Department for Communities and Local Government is simply not prepared for the impact of shunting cost pressures onto other services, like the NHS, and is failing to take responsibility for the very real threats to the validity of some statutory services. And this is not a political viewpoint by the way: the PAC membership is cross-party. The question for Oldham Council is what are we going to do about this? How can we find the funding needed to meet our legal responsibilities and provide the services you will need in future years? Firstly, despite the financial pressures, we know that asking local households to stump up more money isn’t realistic. Many residents are facing similar budget issues and we can’t ignore that, which is why we’re proposing to freeze the amount of Council Tax you pay for our services over the next year. Secondly, we are trying to transform the council’s ‘fiscal base’. That basically means we need to change the sources of where our future income comes from. We do at least have an enviable record of managing our finances here in Oldham and much work has already been ongoing to address this fiscal challenge. Essentially we know it means us needing to work even harder and faster to make Oldham a better place to live, work and do business. It makes our regeneration programme – projects like the Old Town Hall cinema, the new Prince’s Gate at Oldham Mumps, the Independent Quarter, and new housing schemes across the borough – even more vital. Schemes like this will not only help to attract new money and jobs but will also support the delivery of your local services in the future by increasing the amount of business rates and council tax we will collect. Our work also includes a whole host of other measures across all our activity like our social value framework – designed to ensure we maximise the benefit to the local economy of every penny we spend – plus work to rewire services, examine different delivery models, and early intervention and preventative work to reduce demand for services. When you’re on the verge of a financial tipping point like this you know even more challenging times lie ahead. Difficult decisions cannot – and must not – be avoided and we are often left as ‘arbiters in chief’ of a ‘Catch 22’ situation. Nonetheless we are determined to stick to our core pledge to the people of Oldham. We will not simply accept decline for the borough and just focus on implementing reduced budgets that we know will inevitably adversely affect communities. Only by investing in growth do we know we can give ourselves a fighting chance of bringing in new income and opportunities that will give us hope for the future. Let’s be very clear though that this approach is no silver bullet. It won’t address the very real problems that are still hurtling down the track at local authorities unless fair funding is provided in the future. So whichever party – or parties – form the next government after the General Election on May 7, my message to them all will be the same: this needs sorting. COUNCIL TAX: Our proposal to freeze it next year recognises residents’ battle with rising costs of living. 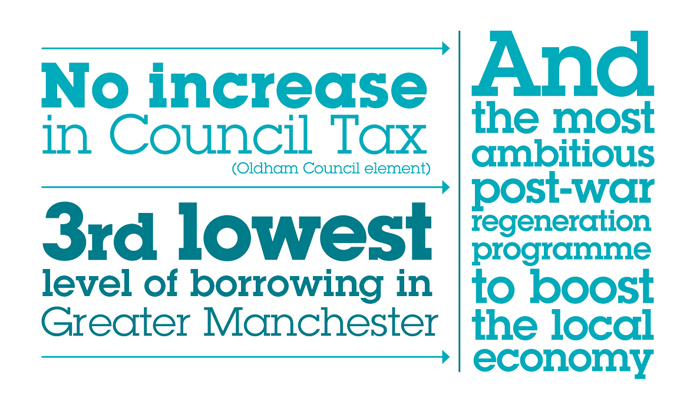 LAST WEEK we announced plans to freeze Oldham Council’s element of Council Tax. This is a key plank of our final budget proposals for the next financial year, and is designed to do our bit to help hard-working families. I know from speaking to residents last year that the way this information is presented is often confusing so, before I talk about that decision, it’s worth explaining exactly what components make up your final Council Tax bill. As well as setting the level of its own Council Tax, Oldham Council must also act as the collector of other parts of your bill from different authorities that also provide services for you. We collect Council Tax on behalf of the Greater Manchester Police Commissioner, the Fire and Rescue Service, plus Parish Councils in Shaw and Crompton, and Saddleworth, and these shares – known as ‘precepts’ – are all itemised separately on your final Council Tax bill. At the same time we must also pay levies to the Greater Manchester Waste Disposal Authority and Greater Manchester Combined Authority for services provided across our region. Where some confusion arises is that these levies are included in the ‘Oldham Council Tax’ figure which will appear on your bill, but they are not shown separately. In the case of both precepts and levies these are simply collected by us and passed on – they are not used to fund services directly provided by Oldham Council. In deciding to freeze Oldham Council’s element of your Council Tax bill for next year we were fully aware that we face continuing pressures on our budgets and services. However it was also important to show the public that we are on your side – that we ‘get’ the financial pressures all residents are facing at this time. We know people are facing an ongoing battle with basic costs of living. Energy bills continue to soar, as does the cost of food, fuel and other necessities which all make household budgets a real struggle. Some figures I recently saw estimated that the average weekly household income in Oldham has dropped from around £437 to £417 this year. Lower income and rising costs is an unhealthy combination and we simply couldn’t ignore that fact. We needed to do whatever we could to try and help and that’s why we have also appealed to the other precepting and levying authorities to follow our lead in not putting up your bill. There’s no official confirmation of their final proposals yet, but we certainly put our case strongly and hope they listened. That focus continues the theme of much of the campaigning work we’ve done in recent times, which has been designed to put money back in local people’s pockets. A good example is Fare’s Fair, our campaign for cheaper public transport, which saw First giving Oldham residents a 28% saving on daily and weekly bus fares – an offer so successful it has now been rolled out across the rest of Greater Manchester. Another is Our Fair Energy campaign which saw us promote collective energy switching, bringing 8,700 local residents together to get a cheaper energy deal and deliver an average saving of £171 per household. Again it was so successful it now encompasses all the Greater Manchester authorities. Standing up for residents like this is what a Co-operative Council should do and that work continues daily in many other areas: including our Get Oldham Working and Fair Credit campaigns. I want to say a little here about the Council Tax system itself now which was once much higher up the national political agenda than it is at present. Politicians now appear to generally have got into a cycle whereby it is seen as unquestionably ‘bad’ to put Council Tax up – and unquestionably ‘good’ to freeze or cut it. To me that is over simplistic and wrong. Council Tax is there to help provide public services that meet the changing demands of the public – and those setting it every year face their own challenges. Oldham Council has already delivered £118 million in savings in the last five years, and the 2014-5 budget will see another £23 million taken out. Looking ahead we know we must then also find an estimated £60 million in savings over the next two financial years after that (2015-7). The budget cycle simply gets tougher and tougher each time. Just like a household budget we’re also seeing rising costs in terms of the increased demand for our services from vulnerable people, plus inflation and costs passed on by service providers to us. All that requires tough decisions and choices to be made. If we don’t increase Council Tax to keep pace with those rising costs – plus the well-documented and continuing reductions in Government grants – then, clearly, we have to find even more savings and take that out from what we are already responsible for delivering. It is also important to point out here that – despite what the Department for Communities and Local Government claims – the Freeze Grant it offers us to not to put your Council Tax up simply does not cover the whole cost i.e. the income we would have got from putting your bills up. In Oldham’s case it will still leave us with a significant shortfall to find again from somewhere next year. We will, nevertheless, take that on the chin and stick by our guns in the belief that not putting your Council Tax up is clearly the right thing for residents at this time. However, I also think we must not lose sight of the bigger picture here, which is that Council Tax is actually a very unfair system. Here in Oldham our residents can pay almost four times as much in Council Tax as people in Westminster in the same property band – and yet they are also living in homes worth significantly less on the property market. Can that really be fair? For me, the focus in the national debate really shouldn’t be on whether Council A has put Council Tax up by X amount, frozen or cut it by Y. It should be about how we address that kind of discrepancy in the system. And at a time when we see ongoing debates about the future of Local Government in Scotland and Wales and how they are funded it is also – for me – high time that English authorities started looking at how they ensure they get a better deal, and looking at a system that is also fairer to all our taxpayers. For next year then, in Oldham, the Council Tax will (subject to approval by Full Council) be frozen, although we can’t make any clear promises about future years given the landscape that I’ve just outlined. As the pressure to find even more savings cranks up – and with no fat left to cut – it means we will soon need a very honest conversation with communities about what your priorities are from us. We will need to know what you expect your council to deliver, what you think can manage without, what you can do to help find new solutions and drive costs down, and – crucially – how we balance all of that so we can still invest in projects that create a better Oldham both as a place and for its people. CHALLENGES MOUNT: It is time for a new settlement for Local Government in England. THE COMPREHENSIVE Spending Review delivered a nasty surprise for Local Government. The headline cut of a further 10 per cent in our funding hides a multitude of other changes which will see many councils across the UK unable to meet their statutory (legal) requirements. And you don’t have to take my word for that. The respected cross-party Local Government Association (LGA) has revised its (unpublished) list of Local Authorities under threat – which now stands at more than 50 across the country. Speaking at the LGA conference in Manchester this week, Sir Merrick Cockell, the former Conservative leader of Kensington and Chelsea, outlined in stark terms the cliff edge now facing local councils. Perhaps as a member of the public you don’t fully see first-hand the range of services that are delivered by your local council – nor the legal responsibilities that we have to meet and maintain. But increasingly a Central Government stranglehold is now constraining us to such an extent that local variation, even local decision-making, has been centralised. We can’t even decide for ourselves, for example, if we want or need another secondary school. Any random group can now apply to Government for council-owned land and buildings. This can put other regeneration plans at serious risk without any meaningful consultation, let alone allowing those of us who are elected by the public to make the decision. We now also hear those small groups will be given the power to sell off public land that has been forced out of council (public) control for development. Public services are under increasing scrutiny but a frank and honest debate about the true cost and value for money has not been forthcoming. Instead lazy production companies and their researchers will trawl councils with FOIs and detailed queries looking for any evidence of waste. In any industry or service on such a scale you will always find examples of waste. But surely the answer is to deal with that isolated example, not to cast a shadow on the whole sector? The truth – as highlighted by review after review – is that Local Government (councils) is actually the most efficient arm of government. But with the Government having already taken more than over 33 per cent in funding from councils this additional 10 per cent will be a step too far. Even the most cynical observer surely wouldn’t believe that councils can take a 40 per cent-plus cut without that affecting the services people rely on. And it’s time to say enough is enough. We are sick and tired of being beaten up, lambasted and slurred by ministers who clearly have little idea what councils actually do. Across all political parties councils are now standing up and demanding an adult conversation about the future of public services. We are sick of the petty sound bites, token hand-outs before an election and the deep misunderstanding of the importance of local people being able to shape the services delivered to them through those people they directly elected. The demand we are making is for is a new settlement. It is not tenable for devolved areas such as Scotland, Wales and Northern Ireland to be treated differently than England – we’ve had disproportionate cuts with no one fighting our corner. It is also not tenable for other public agencies that are not democratically accountable spending many billions of pounds where the service users – you and I – are seen as the problem to be dealt with using an out of date ‘one size fits all’ mentality. There IS waste in the system, duplication and poor service standards. Give councils control over the Department for Work and Pensions, for example, and see real savings (as opposed to cuts) with a better service for residents that delivers a welfare and benefits system which is fit for purpose and gets those people out of work back into the job market. As it stands there are more than 900 apprenticeship providers operating in Greater Manchester and over 300 training providers – does that seem like a streamlined approach? And what about health? Giving over control to GP’s with little reference to the wider social care system is bizarre. Surely we should be focusing on prevention? I bet most people reading this will know the pay of your council’s Chief Executive and Council Leader, but you probably have no idea how much senior civil servants are paid – nor the people leading other public agencies, such as those in education and health. Whether you agree with the amounts being paid is another thing, but at least Local Government is transparent. The way that local services are funded is also no longer fit for purpose. Council Tax is now based on property values from the 1990s and that means areas like Oldham with a low tax base (more low-value properties) have to charge higher Council Tax just to get level with more affluent areas of the UK. Those are just some of the reasons why I fully endorse the ‘Rewiring public services’ report launched at the LGA conference. For the first time in ages there is now a coherent argument for a serious review of public services in this country and I’d urge you to watch a video clip which shows the funding black hole in stark reality here. Please also take the time to read the full conference address here – it’s worth it. Demand is now outstripping the funds available. People are living longer but they also have more health and social care needs – and that costs serious money. Our young population in Oldham is increasing in size, which is good news, but they also need educating well and deserve to grow up in good-quality housing and clean, safe neighbourhoods. And they deserve a better future than just ‘getting by’. I’d simply say this to the public: If you value public services at all, it’s time to get behind the work of your local councils. We might not be perfect but the alternative is having Whitehall civil servants swinging the axe with a distant minister doing little more than rubber stamping more and more cuts. We need a new settlement and the time is now. 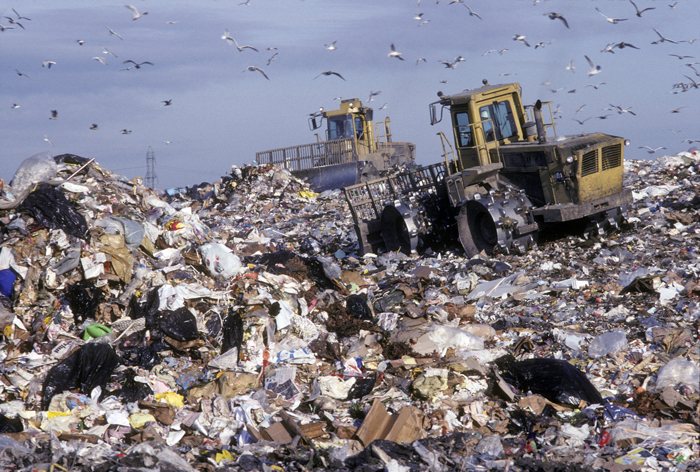 LANDFILL – Landfill Tax on Local Authorities has increased from £24 a tonne to £80 since 2008. The Local Government Association is campaigning for it to be frozen. MOST residents will have received their annual Council Tax bills by now – and there are two concerns that I want to address. Before doing so, I must start by agreeing wholeheartedly that the way we explain the breakdown of your Council Tax increases is confusing. The first query that has been raised is why the published overall increase (including levies and precepts – see below for explanation) was 3.5 per cent, yet the Council Tax bill states the total increase is 3.7 per cent? The difference between these two figures is simply due to the slightly-higher increases that have come back from precept authorities: in this case Greater Manchester Police and Greater Manchester Fire and Rescue. The second query I’ve been asked is why the Oldham Council element of the increase was published as being 2 per cent, yet it is shown as being 3.5 per cent? This is because the Council Tax element also includes charges from the Greater Manchester Waste Disposal Authority and Transport for Greater Manchester. The actual increase in Oldham Council services was 1.9 per cent. It’s understandable that residents believe ‘the council’ has increased the Council Tax by 3.7 per cent, because that’s exactly what the bill says, but in cash terms that isn’t the case. If you look at your bill you will see mention of ‘precepts’ and levies’. In layman’s terms, ‘precepts’ are the charges from the police and fire services. Both are separated from the ‘Council Tax’ element when it appears on your bill. The ‘levies’ are the Greater Manchester charges for waste and transport services. Both are included in the ‘Council Tax’ element when it appears on your bill. These are collected and then passed on – they are not used for Oldham Council services. All of which now brings me to the main point of this week’s blog – waste disposal. The Local Government Association has been campaigning to freeze the landfill tax which local councils pay. This isn’t because councils don’t want to recycle – we do, but it takes massive investment to increase recycling rates. That might have been possible when times were good, but it’s extremely difficult when our budgets have been slashed to the tune of over 30 per cent, and with more to come. We have a record to be proud of here in Oldham. From a low starting point in 2008 we have increased recycling from 15 per cent to 40 per cent through a combination of ‘alternative weekly collections’, plus investment in new bins and campaigns. The landfill tax has increased from £24 a tonne to £80 a tonne since 2008. Simply taxing the local councils without investment in campaigning is nonsense. It‘s quite ironic that the Local Government Minister, Eric Pickles, is so keen to return to weekly ‘black bin’ collections when there is strong evidence that this doesn’t actually encourage diversion of waste from landfill or recycling at all. Surely a far better use of the £250m grant on offer would have been to freeze the inflation busting 11 per cent increase in landfill tax – and allow councils to instead invest in increased recycling and work to support the reduction of greenhouse gases? This isn’t a political point but of the 326 councils in England just one has applied to restore their weekly bin collections. That means 325 councils with varied political control all thought better of the idea. Mr Pickles needs to work harder on a coherent plan for dealing with waste and increasing recycling. Yet when local councils take the initiative – such as the nine members of the Greater Manchester Waste Disposal Authority – we come under attack from the very same government department. As part of our plan to create a sustainable waste plan for our City Region a £3.8bn investment was needed to replace our crumbling waste infrastructure. This included the construction of 43 new facilities plus a new Combined Heat and Power Plant to be built at Runcorn. Under this contract we are guaranteed at least 50 per cent recycling rates and the diversion of 75 per cent of waste from landfill. To fund this we knew that upfront investment was needed, which created a 14.15 per cent increase in the waste element of Council Tax in Oldham. This, however, is ‘upfront’ so that by 2015 the increase is forecast to be 1.98 per cent. As landfill taxes continue to increase, the investment would then pay off as it means we don’t need to pay a premium for waste treatment. Rather than acknowledge the foresight in planning ahead and investing in facilities for future generations that reduce landfill costs and environmental damage, the plans came under what I believe was a misjudged and poorly-briefed attack. Mr Pickles’ labelled the Waste Disposal Authority increase as “forced up by a botched PFI deal signed by the unelected Waste Authority”. This “shoddy” deal, he claimed, by a “shadowy, unelected body” had caused a “double whammy of both fortnightly bin collections for some of its residents and higher taxes”. Each of the nine councils in Greater Manchester who are part of the Waste Disposal Authority all have elected councillors on the board. All the papers are published online and a copy is included on the main council agenda here in Oldham. Residents can attend the meetings and have done so to present petitions. That is a level of transparency that others could perhaps learn from. As ever on recycling, though, it’s ultimately over to the people of Oldham to continue to do your bit. Your efforts have already taken us to an impressive fourth in Greater Manchester in terms of our recycling rates. But if we could all increase our recycling further by just 10 per cent each, we could all save an estimated £1.6 million a year. That’s a significant sum that would help to fund vital frontline services at a time when budgets continue to be slashed. TAXING DECISIONS: Taking money out of services isn’t easy – and you must understand the real consequences of the decisions you take. IF I TOOK my job description from the Government then being a Council Leader is supposedly like being a scout leader. Well, after almost two years of holding onto a day job and also being Council Leader, I can say that view is so far removed from reality that you have to wonder which councils certain ministers are using as a reference point for Local Government! Last week was my first week here as a full time leader. I should say that, even when I maintained a day job, I still worked many more hours on Council business than a standard 40 hour week. It just meant that in total I worked around 70-80 hours over seven days each – and every week. That isn’t good for my own sanity and it certainly wasn’t fair to my family – plus I want to give 100 per cent to Oldham. The challenges and opportunities that we face means I need total focus and energy. It proved to be a very busy first week here as we put the finishing touches to the budget for 2013/4 – and also dealt with the latest media storm: horsemeat. Cries from Government, the media and consumers that food standards should be monitored more closely cast the spotlight towards Local Government on this – even comments by the Chief Executive of the Iceland food store who, I wrongly assumed, might have been busy checking his own supply chains. Nationally the questions started to arise about how many food safety inspectors have been axed as a result of budget cuts. But not long before that it was gritting. And not long before that it was the quality home care. And then it was potholes (and still is!). Each time the questions are now asked about whether the services above were cut. A safe assumption, almost universally, will be “very likely”. Of course services have been cut because the council’s budget – the cash it has to spend – has also been cut and people don’t work for free. Some acknowledgement that Local Government delivers important services has been a long time coming. It shouldn’t take the next crisis of public confidence or frenzy to shine a light on the next service delivered by councils which the media suddenly realise was delivered by us in the first place and was actually very important. And if you don’t believe that then think back a month ago and tell me who was talking about horsemeat – or who gave a second thought about cuts to environment health budgets? So what will be the next focus of media and national attention, I wonder? Adoption? Road safety? Who knows? It’s well worth taking just a few moments to glance through the sheer scale of services offered. I’m afraid the simplistic argument that “If you have less money then there’s less work to do” doesn’t hold water. To make decisions to take money out of service budgets isn’t easy, but implementing changes and reduced budgets when, in many cases demand is increasing, is very difficult – especially if you care about quality public services. During any budget consultation it is usual to get a series of common themes and also a great deal of contradiction. Many put forward ideas like reducing councillor allowances, reducing senior management, saving money on buildings and energy. I can report that we have done that on all counts but even had we had sacked every manager earning above £50,000, plus every councillor, at the start of our budget process it still would have left around £135million of further cuts to find. That would have left us without anyone to actually manage what was left – or to be democratically accountable. There are also competing interests. Non-users of libraries are happy to see libraries close, for example, but await the fury of those who do use them if you attempt to shut one down. Those without children may also be happy to see youth centres close, but again if that happens the wave of petitions will soon follow. And for those at the start of their adult life worries about quality home care may seem a lifetime away: until one of their own family members fall victim to changes in care criteria or budget cuts. At the end of all this you do listen, of course, but you also have to be true to yourself and spend time understanding the real consequences of the decisions you make. 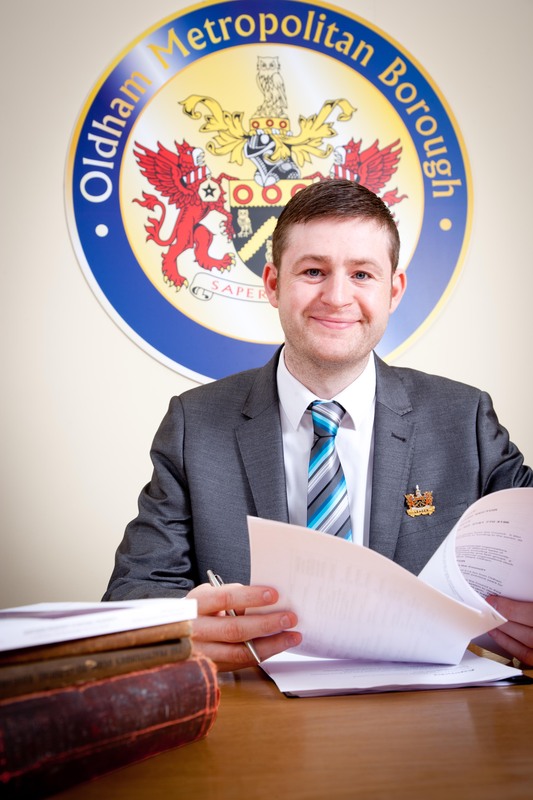 The Council Tax increase will be set at 3.5 per cent with the Oldham Council element being a 2 per cent raise, plus precepts such as the police, fire and waste. I can say that whilst an increase is not ideal I feel it is the right balance between maintaining services, creating an investment fund and not being overbearing on the public. The increase amounts to around 60p a week for a band A property. It will see frontline services buffered and make investment possible in the town centre and key employment sites. Oldham Council is your council and collectively Oldham is our town. If we fail to invest in growth and regeneration we fail ourselves; and that isn’t good enough even if finances are tight. I was extremely proud on Monday night when four of our councillors were given national recognition for their work at the LGiU and CCLA C’llr Achievement Awards 2013. Jean Stretton led Oldham Council’s response to the Shaw gas blast last year and showed outstanding community leadership in her tireless work with affected residents and looking after their welfare. Small wonder she was crowned ‘Community Champion of the Year’. Our three Assistant Cabinet Members – Amanda Chadderton, Sean Fielding and Arooj Shah – also collectively won the ‘Young Councillor of the Year’. They had made huge contributions since being elected in May 2012, including delivering the Energy Switching scheme, the return of the Civic Bonfire, and securing a 30 per cent reduction in bus fares. They are shining examples of the really positive impact that young people can make in public life. And finally, I must mention Oldham Athletic again. Whilst it was a shame their FA Cup dream came to an end at Goodison Park on Tuesday night the club has so much to be proud of – and has also recieved a significant financial boost from these exploits. The Latics and their fans have been fine ambassadors on a national stage in recent weeks and have done much to foster renewed civic pride in our town. I sincerely hope this recent success is now a springboard to the club retaining League One status this season – and a much brighter future ahead. TRUE GRIT: An army of volunteers showed real community spirit to clear the Boundary Park pitch before Oldham Athletic’s FA Cup heroics last weekend. THE OUTDATED municipal councils would fail most communities today. We now live in a complex world and the local council is rarely the dominant power it might have been in the past when it could rely on the weight of spending power to get others to listen. The Co-operative Council agenda provides an opportunity to look at things differently. The place – defined in different ways to different people – is the starting point of this. And the place belongs to the people, not the council. What the council can do is provide leadership, marshal resources and bring different interests together. The way Oldham came together during the snowfall last week gave a real feeling of community. 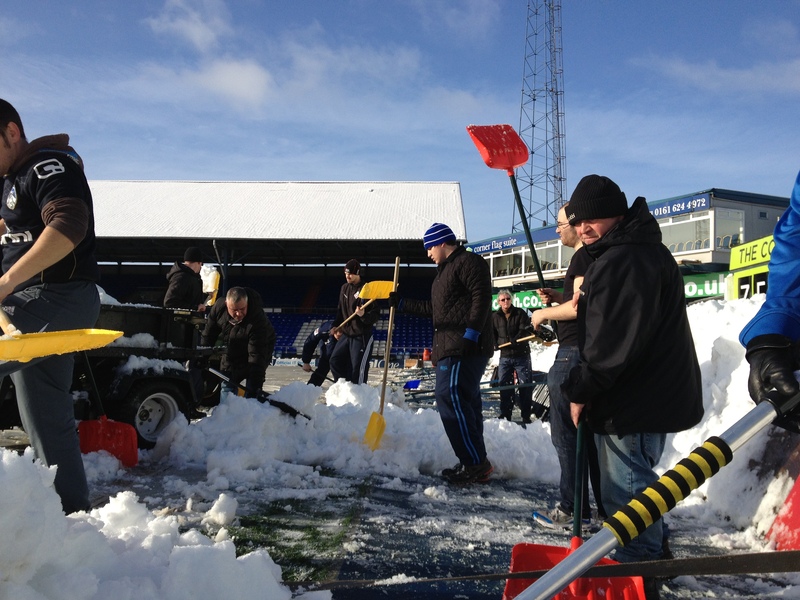 Yes, some people did complain – but then that’s life – but most mucked in together: including a strong army of volunteers who helped to clear the snow from the Boundary Park pitch on Saturday. Leaders also present themselves in many guises at different times. Oldham Athletic themselves did it for our Borough with a storming performance in the FA Cup on Sunday. Many fans had hoped to try and force a draw beforehand – that in itself would have been a victory with huge financial rewards. But to actually then humble the giants of Liverpool sent this team to the heights of fantasy and wrote their names into football folklore. On that day Oldham was truly led by the Latics as an audience of millions watched across the world. And whilst I may suffer from being sentimental at times, even the sternest cynic would have felt immense pride to witness it. This week also saw a second energy switching auction close with a staggering 30,000 households signed up. To think that all started here in Oldham and is now a national scheme is another great credit to our Borough. Oldham can lead the way and can do it by listening to the ideas of people like you. So, if you have the next great idea, send me an email and we’ll look into it. You never know it may be the next ‘Made in Oldham’ success story. Last week we announced our proposals to increase Council Tax from April 1. I’m one of a handful of people, it seems, who believe that modest increases – inline with or below inflation – are acceptable in most circumstances. If you don’t increase in line with inflation yet your operating costs are going up – energy bills for instance – then you simply have to make cuts somewhere else. That isn’t about playing fast and loose with your money: it’s the pragmatic reality of life. Prior to Christmas I thought we could be in a position where an increase might not have been needed. We’re only too aware that families are feeling the squeeze and went into the December meeting of Full Council with almost all of the £31 million needed to be found in savings identified. It hadn’t been easy but, unlike many areas, we didn’t propose library closures or children’s centres locking the doors for good. Interestingly when you don’t close facilities the vocal minority shout that they should actually cut because they personally don’t use them. Unfortunately we live in the real world where we must think about the community as a whole – not just the interests or opinions of a minority. We also have to keep an eye on future generations: those who had nothing to do with the financial crash or the credit crunch. But just before Christmas the Chancellor sent Oldham an early present – no wrapping paper or fancy bows – just another £7.5m of cuts to find. That’s actually the minimum we must find because the Government figures can’t be relied on at this stage as they’ve often been found to be incorrect or incomplete. So with our budget cut now increased from £31 million to around £38.5 million we have a choice. It’s not a great choice, but it is a choice of some sorts. We either cut or we cut(!). Believe me, after already taking more than £131million from the Council’s budget, that extra £7.5m will affect frontline services – the more palatable options have long gone. The rise you will pay for Oldham Council’s services will be 2 per cent, which is within the Government limit, and when Police, Fire and other precepts are included the increase will be 3.5 per cent overall. Cries from Eric Pickles, the Minister for Local Government, that Councils like ourselves who increase Council Tax (including precepts) by more than 2 per cent are ‘cheating Councils’ is outrageous and a cheap attack. It does beg the question: If we weren’t allowed to increase within the law then why does the law itself allow it? Could it be that Councils are acting within the law – or perhaps that some highly-paid civil servant has messed up by creating a loophole? We play by the rules. If the Government wants to move the goalposts on a whim then they can’t be too surprised if Councils stop listening. Unlike the Government department concerned we have real work to do in providing essential services to our residents – and that has to take priority. 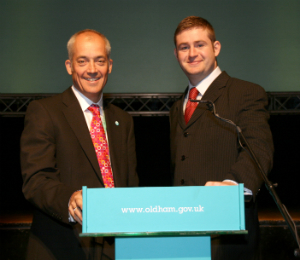 STAFF CONFERENCE: Cllr Jim McMahon at the podium with Charlie Parker, Chief Executive of Oldham Council, at last week's internal event. ECONOMIC concerns are again driving this week’s headlines and deadlines. The cut in the UK growth forecast to just 1.1 per cent for 2011 is just the latest reminder, as if one were needed, of the challenges that all of us are facing. Everyone across our Borough – residents, staff and businesses alike – are looking over their shoulders and trying to protect their bottom line. For most people that means constantly monitoring mortgages, pensions, savings, income and bills – and looking at how to cut costs with the minimum impact on your welfare. The challenge is exactly the same for Oldham Council. Our balancing act is to find £24 million in savings from next year’s budget whilst continuing to invest in priority areas for residents, plan for the future and protect the frontline services that you depend upon. This week we’ve launched our consultation exercise with the public to discuss exactly how we can achieve this. 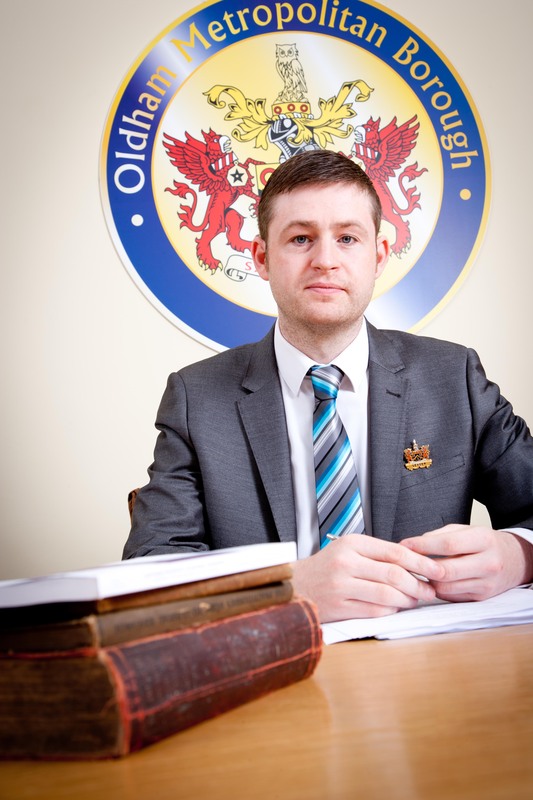 Oldham Council’s challenges are the same as every other Authority – to wrestle with becoming a leaner organisation that will have to work very differently – and we simply can’t sit here with our fingers in our ears wishing the problems will go away. It would also be unforgivably arrogant for us to assume that our management team and Councillors have a monopoly on good ideas or common sense – and that’s where you come in. I’d urge everyone reading this to please take five minutes of your time to visit the new Budget Consultation pages at www.oldham.gov.uk/budgetand give us your feedback. This explains our income sources and where we are currently spending every penny of your money. The Council administers this budget on your behalf and that’s exactly why we need to make our final decisions based on what you tell us are your priorities, – and also what is not(!). As we look towards launching our vision of what becoming a Cooperative Council means for Oldham next month, I want staff to start embracing the opportunities to change for the better. With more powers and budgets being devolved downwards, the staff we are redeploying to the six new district Town Halls will work closer than ever before with residents. That means they will no longer be shackled by a ‘one size fits all’ approach, and therefore also means they should start to feel more empowered. It’s surely going to be better for everyone if we enable staff to proactively change the ways they work with the people they’re serving – and if they’re finally liberated to find smarter solutions with less bureaucracy that better meet the differing priorities within each district. I also explained to Council staff about our new commitment – as part of the Cooperative approach – to enable them to invest time back into the community. We’re going to allow staff to take three days of paid leave annually to put something back into the local area to support groups and initiatives where their expertise can make a big difference. That might be someone in our finance team helping a local charity apply for grant funding or do their books, for example, or someone from our Environmental/Parks teams assisting them with a community garden, clean-up or allotment scheme. Essentially, this is the spirit of what a Cooperative Borough should look like. Everybody working together – public sector, hand-in-hand with residents, plus the voluntary and private sectors – to achieve a common goal that improves the place. I also want to put improved aspirations at the top of our agenda as an Authority. My vision from here is that every apprentice starting work at Oldham Council should be able to aspire to climb all the way up to the top, and become Chief Executive. In a generation’s time I would like to see the majority of senior management in the Council to have been produced from – and thereby be closer to needs and aspirations of – this Borough. Another crucial part of this Cooperative jigsaw – beyond staff and residents – will be to make Ward Members more effective. We recently held our first session with councillors of a new Local Leaders Programme, which aims to help them become more responsive and valued community figures. There was a vastly differing mix of experiences and lengths of time served amongst all present at this event, but the ideas discussed were well received. Across all the political parties it was very clear to me that our Ward Members do believe in the Borough, and that we need to do more to support them. Giving them the powers and the budgets to do things that make a real difference in their area is key to the devolution agenda, but it’s not the whole answer. Being a Councillor is not a profession – it’s a vocation and there is no defined ‘career path’ into it. That’s why we need to support and enable them all to perform better through appropriate training and development. Finally today – on a very different tangent – I’m pleased to report that good progress is being made by Langtree, with whom Oldham Council recently signed a development agreement to revitalise Hollinwood. Langtree has already moved quickly to appoint key personnel to make things happen and I’m looking forward next to seeing the architects’ Masterplan for the area. Redeveloping the key sites in question here – alongside Metrolink’s arrival – can help us strengthen Hollinwood’s identity and secure its position it as a destination of regional importance. THIS WEEK I’ve been attending a series of events to explain and listen to views about our vision for Oldham to become a Cooperative Borough. 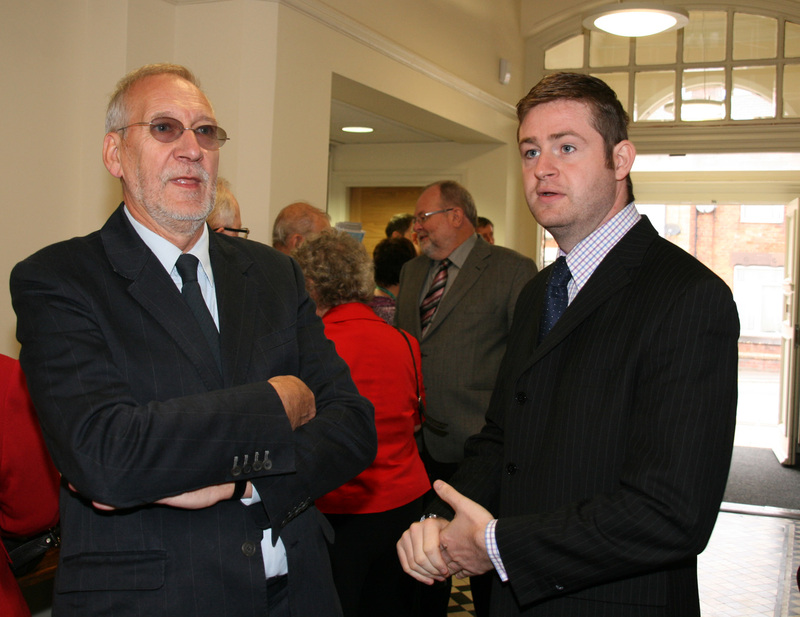 That started as I attended the reopening of Failsworth Town Hall last week alongside David Heyes MP. This is a very positive regeneration scheme that has revived important local facilities and will provide a new community hub or ‘one stop shop’. The Town Hall will enable residents to carry out tasks like reporting environmental problems and paying bills, and – in time – other functions that local people identify as genuine need. This is the first of our new district town halls to open across the Borough and is – crucially – designed to bring Oldham Council closer to the people it serves. That theme is principally what I spoke about at a conference on Cooperative Councils at the People’s History Museum in Manchester last Saturday, which was attended by many Local Authorities from up and down the country. The majority were positive, and some admittedly remain to be convinced, but the reception left me feeling very confident that this ‘Oldham model’ –changing our values, behaviours and ethics to work closer with residents than ever before – is really gaining momentum. A Business Breakfast event at Fresca in Delph this morning then enabled me to share that vision further with the private sector. I went along to start a conversation with the business community about how they can play their part, and the ways in which Oldham Council can support and assist them to get a business dividend in testing economic times. There are many strands to this – which include our input into AGMA’s strategy for inward investment, and our support to local firms in Regional Growth Fund bids – and they also had plenty to say. Businesses said they would like more dedicated support and one interesting suggestion was to have a Cabinet Member devoted solely to business. That’s certainly something I will consider as I want to ensure our interaction with them is more cohesive. There was, of course, some talk over breakfast about Warburton’s announcement today that up to 170 jobs may go at their Shaw site. This is clearly devastating news for the staff affected – and their families. Whilst we work hard to ensure Oldham gets a fair crack of the whip, we will never be immune to national companies making decisions like this. Our job is not to dwell on being glum about it, but to try and help find practical solutions. The Council is setting-up a dedicated team that will go and speak to staff and offer them one-to-one help in CV writing and job matching, for instance, and also to potentially find employment opportunities which might even lie across our boundaries in neighbouring authorities. To my mind the most important thing is that we assist these people, wherever we can, in ensuring they will be able to pay their mortgages. That is everyone’s bottom line. Later today I’m looking forward to having tea with members of Oldham’s Youth Council and discussing plans with them to start a new ‘Young Cooperators’ programme. The idea here is to promote a sense of civic pride and community responsibility from an early age. The reason I’m doing this relates to a realistic assessment of what Oldham Council can do in 2011 and beyond. We currently have a relationship with residents where the demand and dependency on our services has never been higher – and at a time when budgets are shrinking. That poses serious questions about the future of this relationship. In street cleaning, for example, we’ve got a clear duty to keep roads clean and safe. But also we spent a huge amount of extra money trying to keep them litter-free – which is a very different thing. Picking up crisp packets and cans that somebody couldn’t be bothered putting into a bin costs us a small fortune annually. If I piled that money up in the Civic Centre car park and burnt it there would rightly be outrage – but we’re effectively doing the same thing here. It’s easy for a resident to see the litter and say ‘I pay my Council Tax – sort it’, but there is a perception problem here that can only be tackled by behavioural and cultural change on all sides. 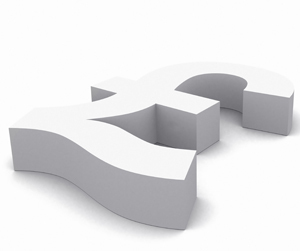 Put simply, Oldham Council is here to administer the money that you pay, on your behalf. With our gross revenue budget soon set to be around 50 per cent of what it was five years ago, we simply can’t continue to ‘do what we have always done’ and need people to start thinking differently about responsibilities. This is exactly why I want the Youth Council to become ambassadors for this ‘Young Cooperators’ scheme. Getting people to become champions for their area rather than expecting the Council to do everything for them is a big part of that process. I want to help young people understand what the public sector is and its function and relationship to them. The Youth Council already does do some excellent work so I’m going to be really interested to hear their ideas about how we can engage with young people and start to make this happen. Finally, I must mention the recent announcement from the Boundary Review which proposes significant changes to our Parliamentary constituencies. These proposals would see four MPs with responsibility for different bits of the Borough ‘chiselled’ off to each new constituency – and also means that Royton and Chadderton would be split apart on that map. Following Full Council last Wednesday a working group with cross-party membership has now been set up to examine this matter as there are clearly serious questions to ponder. Those include how we can best protect our local identity, and also how we ensure that change does not lead to poorer democratic representation for our residents.